Relations between Japan and other Asian countries, especially China, are as important today as ever. To Hong Kong, Japanese companies provide lots of job opportunities every year, thus knowledge of the Japanese language is really a benefit in winning a job. 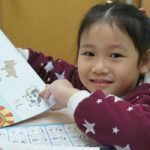 On the other hand, good Japanese proficiency is necessary for understanding Japanese society and culture, or even studying in Japanese, so why not let your kids start learning Japanese for preparing their future? 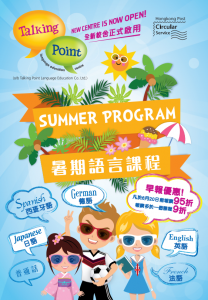 We provide Japanese courses for students starting from age 4. The course can provide a chance for the students to enjoy and develop an interest in Japanese. Students can start learning from basic pronunciation, vocabularies and grammar. Through role playing and games, students can also practice their conversation skills. Courses include Playgroup, Introductory, Intermediate and Advanced Japanese for students with different Japanese learning background. We also provide tailor-made classes for individuals or groups, including parents and their kids.